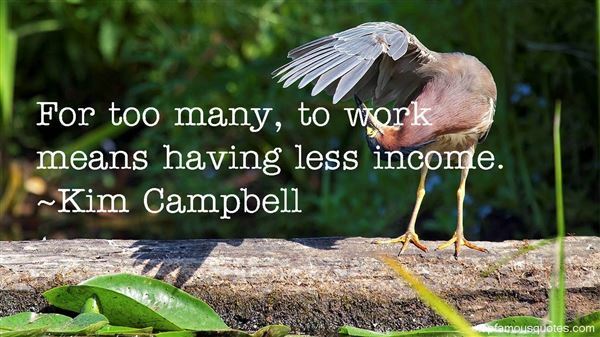 Reading and share top 16 Kim Campbell famous quotes and sayings. Browse top 16 most favorite famous quotes and sayings by Kim Campbell. Just trying to get a visual of you on the beach in Spain…How's that working out for you?Pretty spiffy.Spiffy? Did you just say spiffy?I typed it actually. You got something against spiffy?" What Did Kim Campbell Talk About?